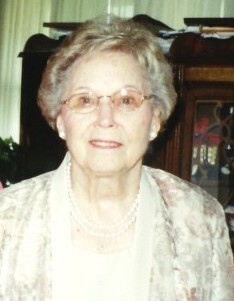 Rita Marie Hershfeld, 94, of Parkville passed away peacefully and quietly on April 12, 2019 surrounded by her family. Rita was born in Baltimore to the late Elmer and Katherine(Reese) Korb. Rita married the late Robert “Bob” R. Hershfeld in 2003. He brought much joy to her life and she enjoyed the simple pleasures of life with Bob such as sitting quietly on park benches reflecting on their personal life journeys. Rita was an avid reader and especially enjoyed Turner Classic movies. She will be remembered for being a loving mother, devoted to her family, and for her quiet and gentle demenour that blossomed when surrounded by those she loved. She was preceded in death by her beloved husband; two daughters, Carolyn McVicker, and Rita Curry; grandson, Randy Boehmer; and her siblings. She is survived by her children, Christina Shepard, Mary Warren (Gary), James Curry, Jr., Marjorie Rippin ( Randy), Kathy Frome (Ernie), 17 grandchildren; 28 great-grandchilden; and 6 great great-grandchildren. The family will receive visitors at Singleton Funeral & Cremation Services, P.A., 1 2nd Ave, S.W. (at Crain Hwy), in Glen Burnie, on Mon., April 15th, from 3-5 & 7-9 PM. A Celebration of Life service will be held on Tues., 1:00 PM, in the funeral home chapel. In lieu of flowers, donations may be made to www.gofundme.com/f/bryceboehmer, a memorial fund to support Rita’s great-grandson.